Actual and insolation-weighted Northern Hemisphere snow cover and sea ice are binned by latitude bands for the years 1973–2002. Antarctic sea-ice is also analyzed for the years 1980–2002. The use of insolation weighting provides an improved estimate of the radiative feedbacks of snow cover and sea-ice into the atmosphere. One conclusion of our assessment is that while a decrease in both areal and insolation-weighted values have occurred, the data does not show a monotonic decrease of either Arctic sea-ice or Northern Hemisphere snow cover. If Arctic perennial sea-ice is decreasing since the total reduction in areal coverage is relatively small, a large portion of it is being replenished each year such that its radiative feedback to the atmosphere is muted. Antarctic sea-ice areal cover shows no significant long-term trend, while there is a slight decrease in the insolation-weighted values for the period 1980–2002. From the early 1990s to 2001, there was a slight increase in both values. 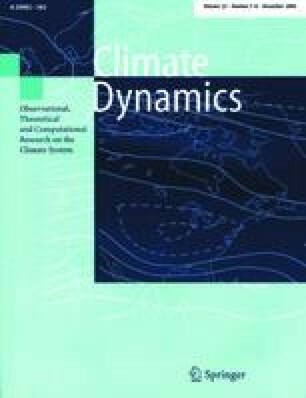 The comparison of general circulation model simulations of changes over the last several decades to observed changes in insolation-weighted sea-ice and snow cover should be a priority research topic. The snow data was obtained from NOAA weekly snow maps, which are produced by a visual interpretation of visible satellite imagery. The information is standardized, converted to monthly values, and archived at Rutgers University (http://climate.rutgers.edu/snowcover ). The DMSP SSM/I sea-ice data were obtained from the National Snow and Ice Data Center. The Referees provided specific suggestions which significantly improved the study. Support for this work was provided by National Science Foundation Grants 0229973-001 and ATM-9905924, and by National Oceanic and Atmospheric Administration Grant NA06GPO566.